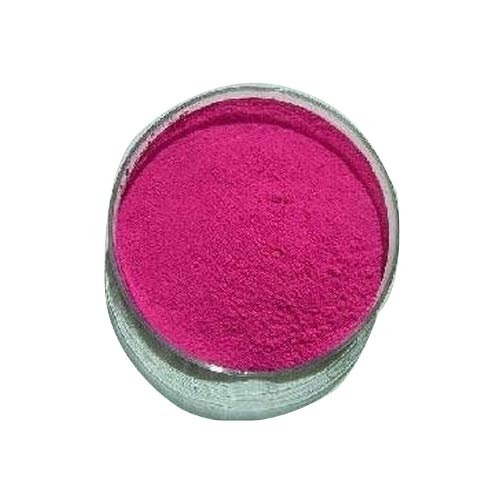 Backed by the team of experienced professionals, we are able to offer Rhodamine Powder. Our adroit professionals formulate this product under strict conditions in tune with predefined industry norms. This range is useful in various industries such as plastic, garment, ink manufacturing and lubricants & greases. Offered range is generally demanded for nail polish colors, paper coating, beads coating, polyester fabric dying, for water base inks, for NC thinners and liquors base. Established in the year 1950, our company, Radha Kishan Bishan Das Rang Rasayan Private Limited is one of the leading manufacturer, wholesaler, exporters and trader of Herbal Gulal, Holi Gulal, Holi Colors, Holi water Colours and many more. Our Tota Brand gulal, available in different colours, is high in demand by customers all across the world. Our trading brands are Tota, More chaap, Shri Krishna Hing, Enjoy and many more. With the help of high quality machines, we are able to manufacture colours as per the requirements of our customers. We are a quality-centric organization that aims at maintaining quality standards. Our competitors provide fake, inferior quality colours that are made from chemicals which harm the skin. But our products are herbal and have no side effects on the skin. It is advisable to be cautious and keep away from false promises made by fake manufacturers who use our brand name. We are exporting our quality products in USA, Australia, Europe Country.